Activities and process skills intensive reading class VI students of SDN 029 Sungaipinang still low, it is seen that the students have not been able to read intensively so that the difficulties in determining the basic idea of each paragraph and the main idea of the story. This is due to the habit of reading inefficient. The research objective to increase activity and process intensive reading skills using PQRST strategy.This type of research is a classroom action research conducted in twocycles. Each cycle consists of four stages: planning, action, observation, and reflection. The subjects were students of sixth grade students with a number of 15 people. Data were obtained through observation sheets, field notes and student worksheets. The collected data were analyzed qualitatively. The results of the analysis of data on the first and second cycle shows that the activity and the process of intensive reading skills of students increased. At the first meeting of the first cycle phase prabaca aspects that are predicting the contents of the report gained 70.83 and made a key question learners acquire 66.66. While at the current stage of reading aspects that are answered questions acquire 71.66 and write the main facts learners acquire 63.33. At the second meeting of the first cycle phase pascabaca aspects that are written summary based on reports received 65 text and revise the summary based on the text of learners acquire 63.33. At the first meeting of the second cycle stage prabaca aspects that predict the contents of the report is the result of 72.5 and making key questions learners get the results 70%. Read the current stage aspects that are answering questions and write the results of placement 70.83 main facts learners acquire 70.83. At the second meeting of the assessed aspects pascabaca stage is to write a summary based on the text of the report the results of placement 74.16 and revise writing text summaries based learners acquire 73.33. Based on the results concluded that the use of PQRST strategy can improve the activity and the process of reading skills of sixth grade students of SDN 029 Sungaipinang. Kegiatan dan keterampilan proses membaca intensif siswa kelas VI SDN 029 Sungaipinang masih rendah, terlihat bahwa siswa belum dapat membaca secara intensif sehingga kesulitan dalam menentukan ide dasar masing-masing paragraf dan gagasan utama cerita. Ini karena kebiasaan membaca yang tidak efisien. Tujuan penelitian untuk meningkatkan aktivitas dan keterampilan membaca intensif proses menggunakan strategi PQRST. Jenis penelitian ini adalah penelitian tindakan kelas yang dilakukan dalam dua siklus. Setiap siklus terdiri dari empat tahap: perencanaan, tindakan, observasi, dan refleksi. Subjek penelitian adalah siswa kelas enam dengan jumlah 15 orang. Data diperoleh melalui lembar observasi, catatan lapangan dan lembar kerja siswa. Data yang terkumpul dianalisis secara kualitatif. Hasil analisis data pada siklus pertama dan kedua menunjukkan bahwa aktivitas dan proses keterampilan membaca intensif siswa meningkat. Pada pertemuan pertama dari aspek prabaca fase siklus pertama yang memprediksi isi laporan yang diperoleh 70,83 dan membuat pertanyaan kunci peserta didik memperoleh 66,66. Sedangkan pada tahap saat membaca aspek yang dijawab pertanyaan memperoleh 71,66 dan menulis fakta utama peserta didik memperoleh 63,33. Pada pertemuan kedua siklus fase pertama aspek pascabaca yang ditulis ringkasan berdasarkan laporan menerima 65 teks dan merevisi ringkasan berdasarkan teks peserta didik memperoleh 63,33. Pada pertemuan pertama tahap prabaca tahap siklus kedua yang memprediksi isi laporan adalah hasil 72,5 dan membuat pertanyaan kunci peserta didik mendapatkan hasil 70%. Baca aspek tahapan saat ini yang menjawab pertanyaan dan tuliskan hasil penempatan 70,83 fakta utama yang didapat peserta didik 70,83. Pada pertemuan kedua aspek yang dinilai tahap pascabaca adalah menulis ringkasan berdasarkan teks laporan hasil penempatan 74.16 dan merevisi ringkasan teks tertulis berdasarkan peserta didik memperoleh 73,33. Berdasarkan hasil disimpulkan bahwa penggunaan strategi PQRST dapat meningkatkan aktivitas dan proses keterampilan membaca siswa kelas enam SDN 029 Sungaipinang. ELVINA, Elvina. PENINGKATAN AKTIVITAS DAN PROSES KETERAMPILAN MEMBACA INTENSIF DENGAN STRATEGI PREVIEW, QUESTION, READ, SELF-RECITATION, TEST (PQRST). Pendas : Jurnal Ilmiah Pendidikan Dasar, [S.l. ], v. 3, n. 1, p. 34-47, july 2018. ISSN 2548-6950. 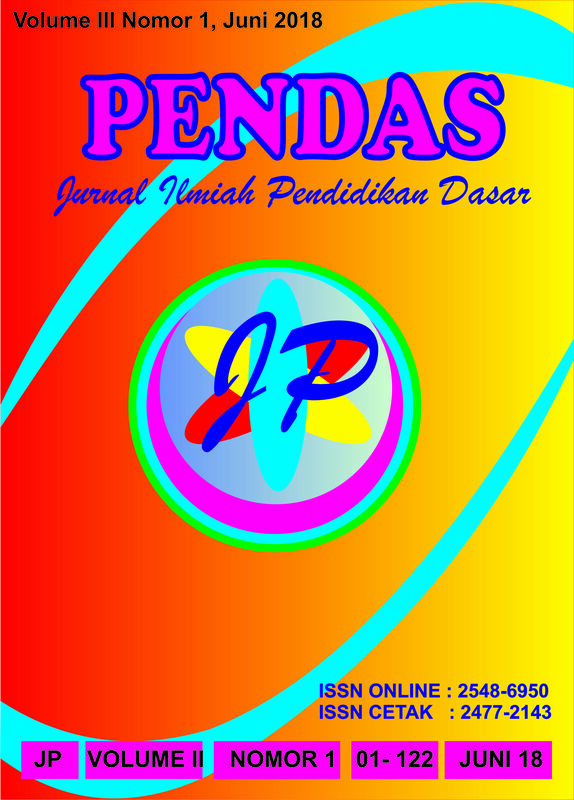 Available at: <http://journal.unpas.ac.id/index.php/pendas/article/view/1025>. Date accessed: 22 apr. 2019.